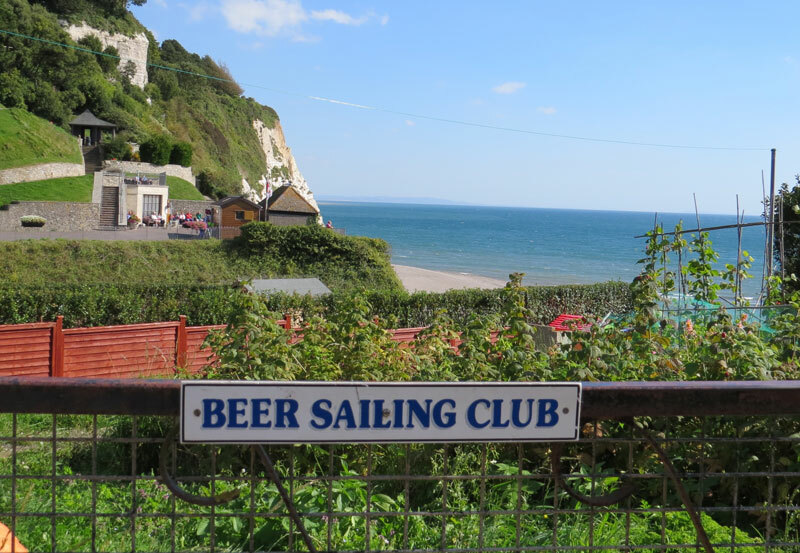 In 2001, ninety-six miles of the south coast of England along the English Channel was designated as a World Heritage Site. 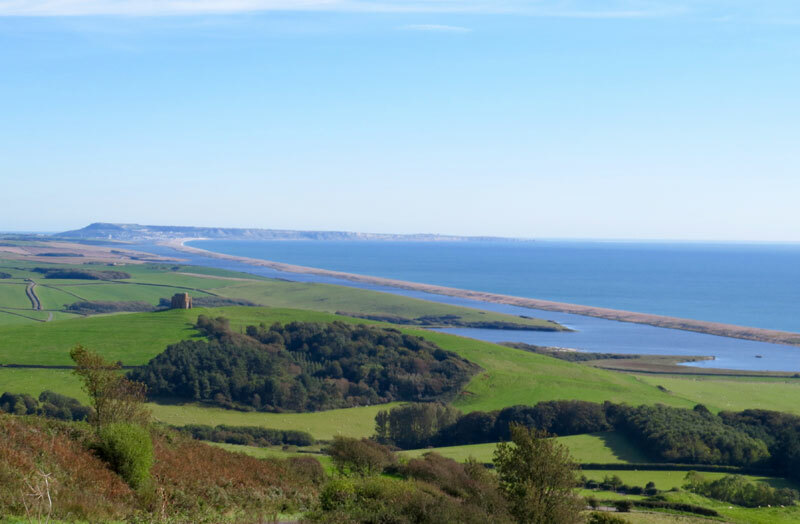 This picturesque stretch of cliffs and beaches extends from Exmouth on the east to Studland Bay on the west. 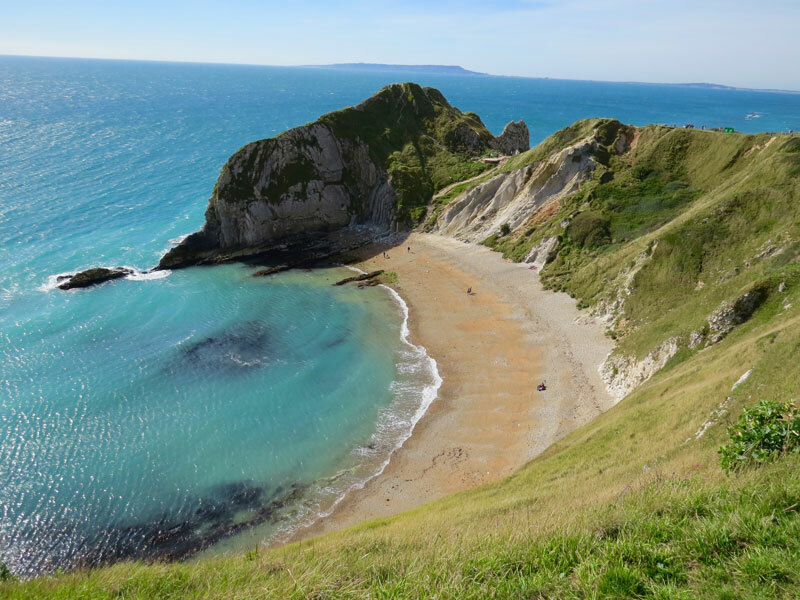 Although it is known as the Jurassic Coast, a label with a certain appeal, it might more accurately have been named the Mesozoic Coast, as the rocks exposed span the entire 185 million years of the Mesozoic Era, including the Triassic, Jurassic and Cretaceous periods. 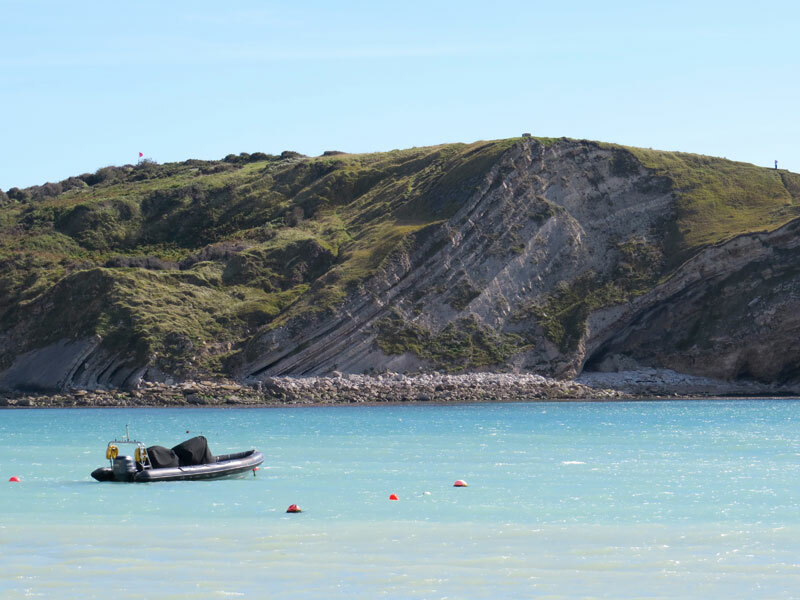 The fossils contained in these sedimentary rocks reveal not only how life evolved during this 185 million year period, but also record how the geography and climate changed over time. Traveling through this region in the geologic past between 250 and 65 million years ago would have revealed a diversity of environments ranging from dry deserts, lush swamps, tropical seas and dense forests, with the preserved plant and animal fossils providing the evidence for these ancient environments. 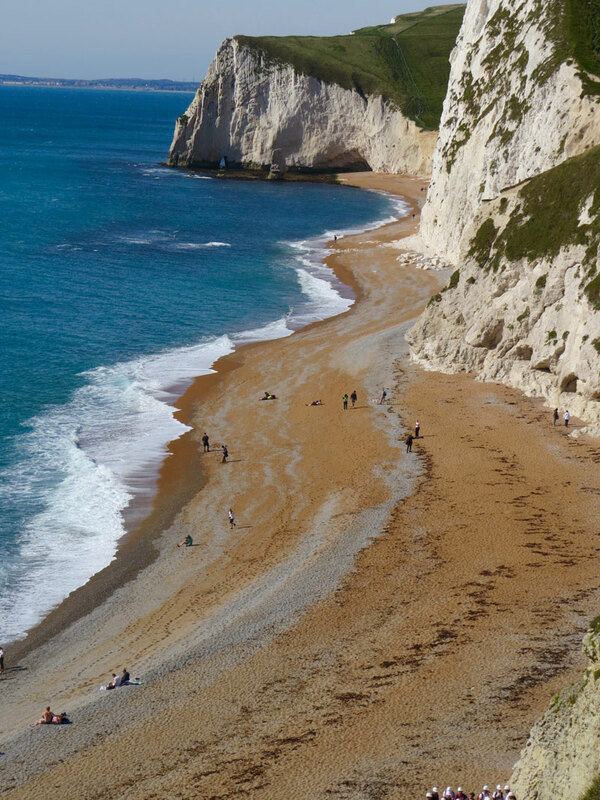 The interbedded layers of sandstone, clay, limestone and chalk exposed along the coastline contain a nearly complete history of this long span of geologic time. 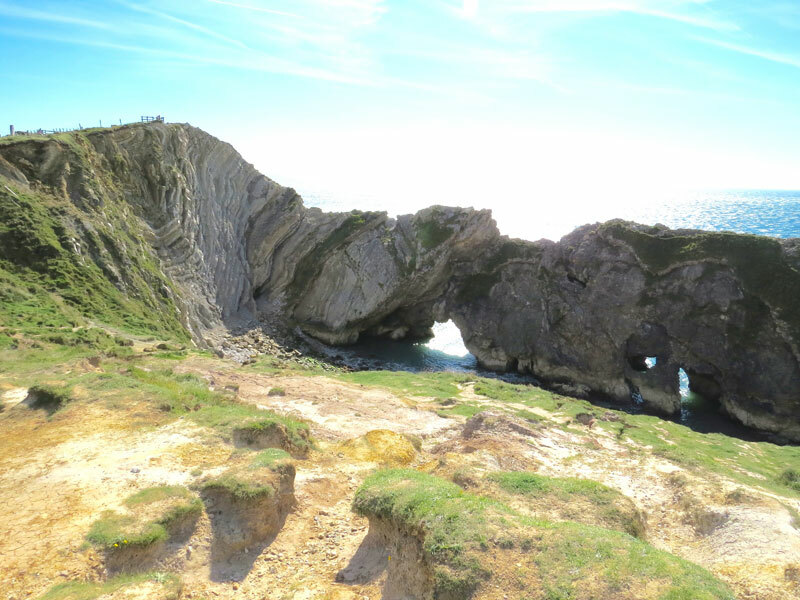 Along some stretches of the Jurassic Coast, these rocks have been uplifted in such a way that the individual beds or layers are steeply inclined or vertical. 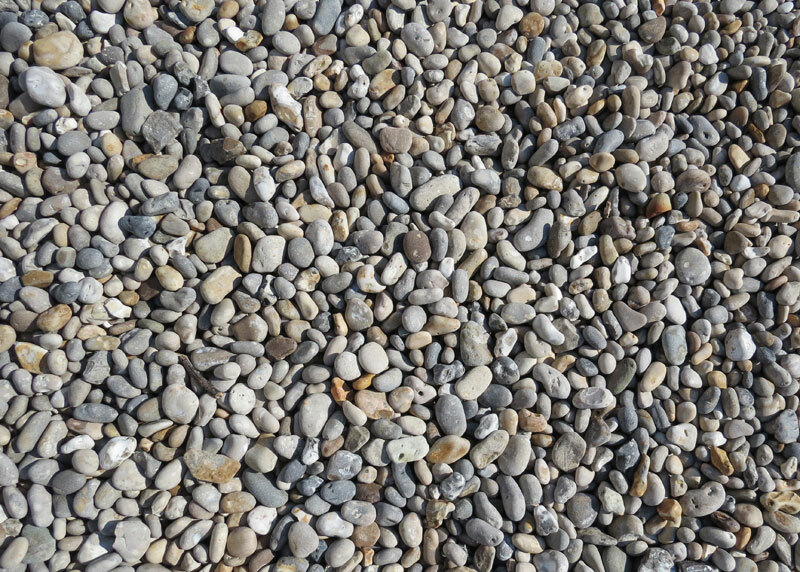 Walking along the shore is much like thumbing through the pages of a gigantic geology book, passing through thousands or hundreds of thousands of years with each step. 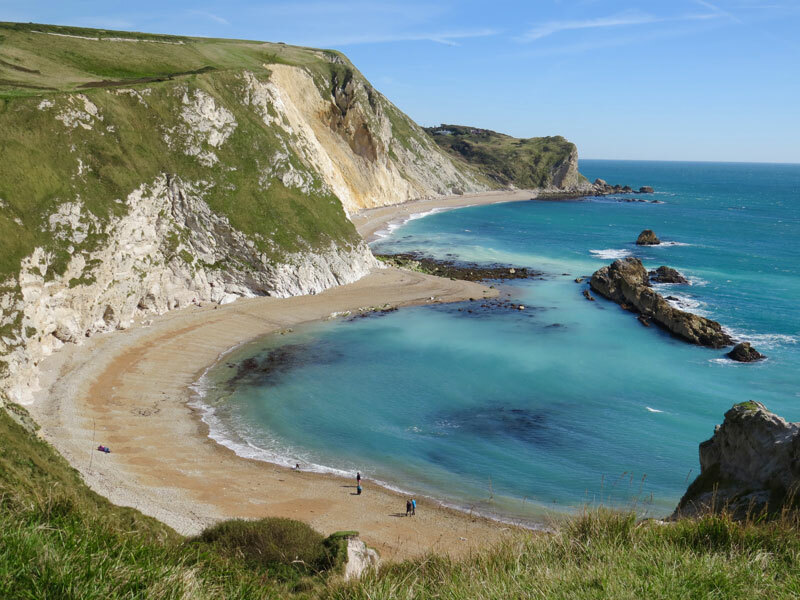 As sea level has risen and fall over the past several hundred thousand years, in response to global heating and cooling, waves have taken their toll on the rocks, carving a rugged coast with a vertical cliffs, arches and coves, seastacks and narrow pinnacles. 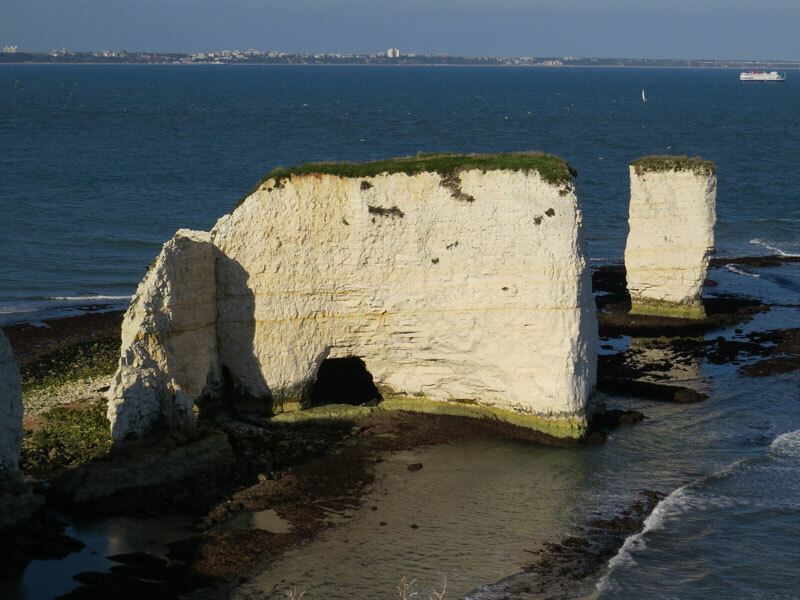 The limestones and sandstones tend to be more resistant to wave attack and weathering and form vertical or very steep cliffs, such as Old Harry on the east end of the Jurassic Coast. Durdle Door is a very large arch eroded into limestone at the western end of the Heritage Coast. The rocks here are of Jurassic Age and have been tilted up so that bedding is nearly vertical with some beds being weaker than others. 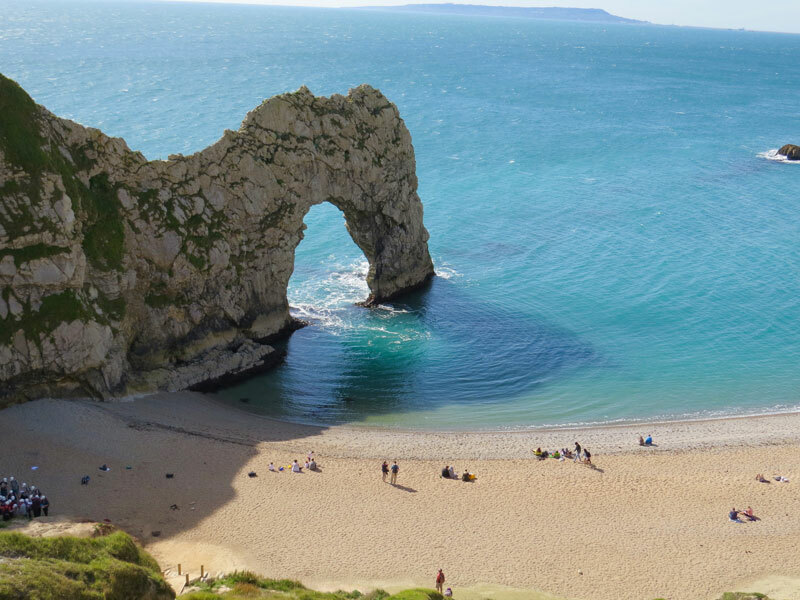 This has allowed wave attack to selectively remove the weak layers creating this spectacular arch. 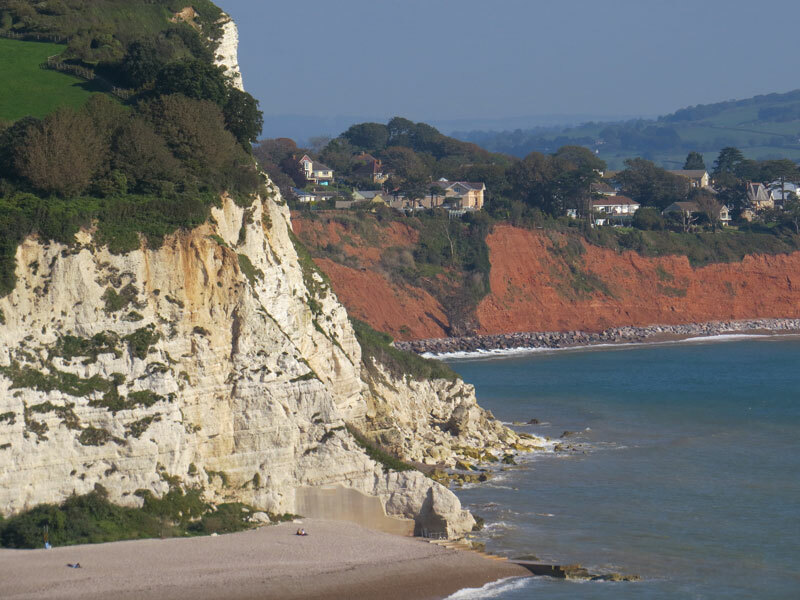 In contrast to the harder and more resistant limestone, the clays are generally much weaker and commonly fail as large landslides (known locally as landslips), which can deliver large volumes of material to the shoreline. 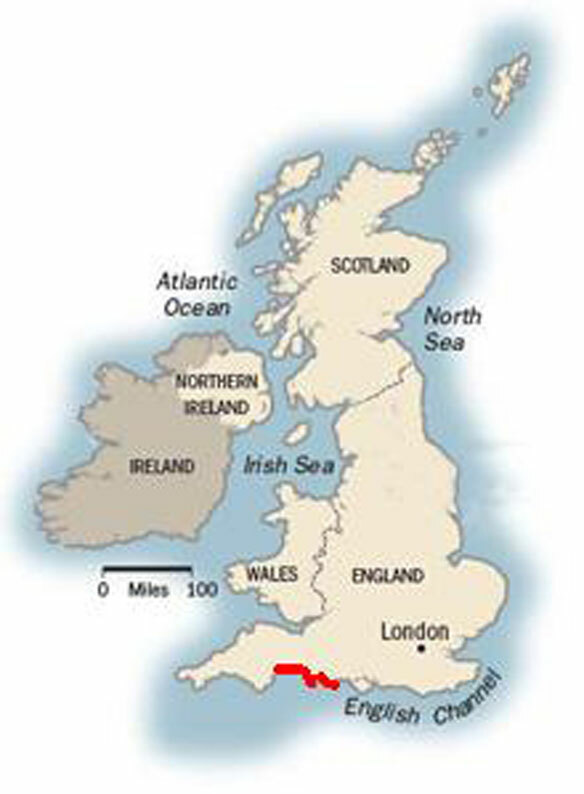 On May 6, 2008, a 1,300 foot long section of coastline collapsed, and was described as the largest failure in a century. 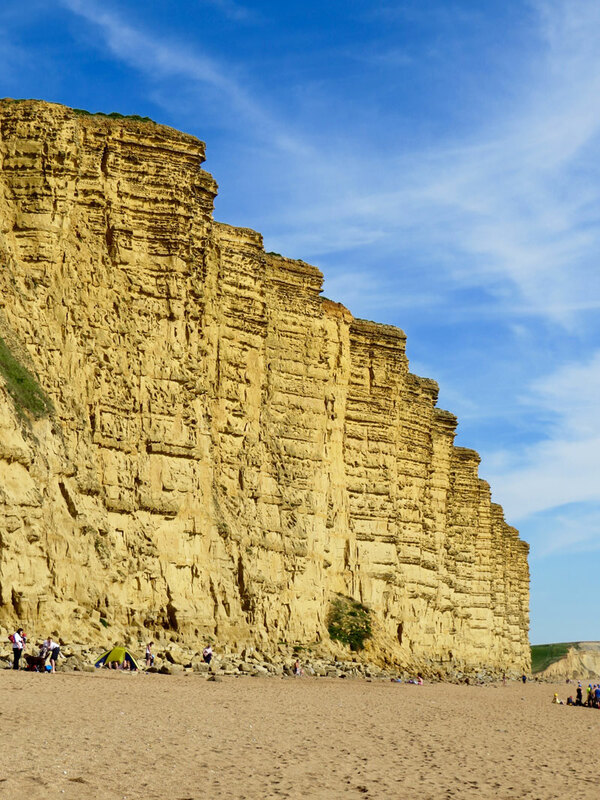 Four years later, another large slip occurred at Burton Bradstock, which involved nearly 450 tons of rock, and led to a fatality. This coast does get severe weather and violent storms are common, all serving to shape and reshape this ancient coastline. The range in rock types making up the coastal cliffs along this 96-mile long coast leads to widely different beaches. 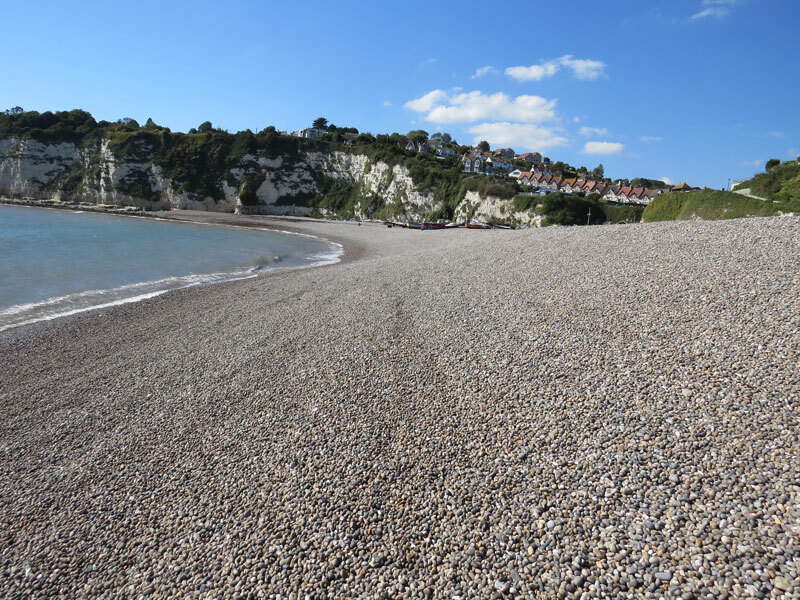 Sandy beaches occur where sandstones dominate in the cliffs, but where limestone outcrops, the beaches tend to consist of coarse pebbles and cobbles, and are quite steep. 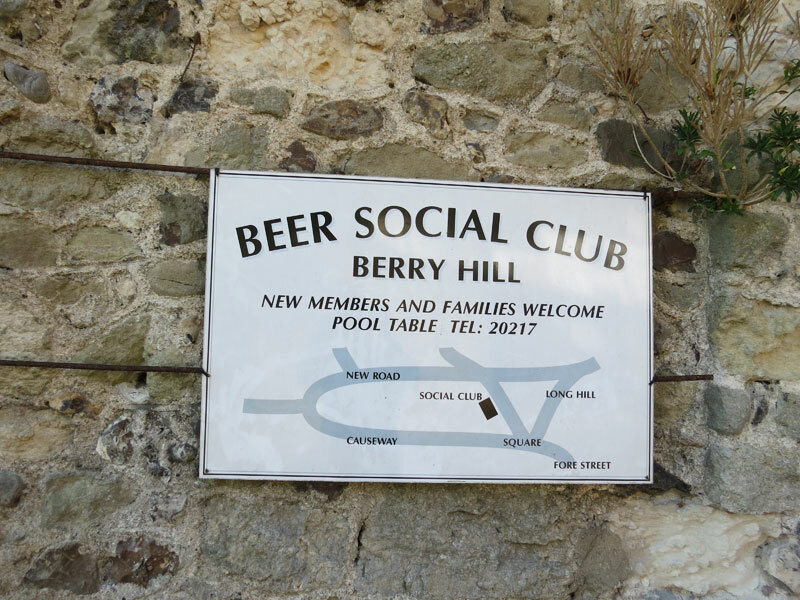 Interesting towns and villages abound along this stretch of English coastline, among them Abbotsbury, Lyme Regis, Swanage, and Sidmouth; among the most interesting is Beer, where signs make it clear that you are, in fact, in the village of Beer.